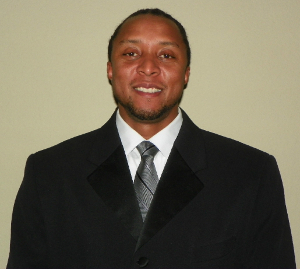 On Dec. 12, educator Dexter Smith filed to run as a Democrat in SBOE Dist. 7. The seat is currently held by David Bradley, R-Beaumont, who is running for reelection. Smith’s website is dextersmith4sboe.com. My name is Dexter Smith. I am a father of four. My wife’s name is Toya and we have been married for 18 years. Our oldest child currently attends Texas Tech University and her younger siblings attend Clear Brook High in Clear Creek ISD. I am a graduate of La Marque High School. After graduation I attended Lamar University on a track and field scholarship. In 2001 I graduated from University of Houston with a Bachelor of Arts in History. In December 2010 I graduated from University of Phoenix with a Master’s in Elementary Education. Currently I am enrolled in the Region IV principal certification program. This school year will be my 11th year at Mainland Preparatory Academy. The majority of my time has been spent serving as the 3rd and 4th grade social studies teacher. I also serve in various capacities on campus that include Chair of the Social Studies Department, Chair of the Red Ribbon Committee, member of Campus Improvement Team and Student Council Sponsor. I’ve enjoyed the challenges and success of working with students over the years. I desire to sit of the State Board of Education District 7 because the decisions to inject political and personal values have become a distraction. It is time for educators to lead our schools on their mission of educating students. Professional educators are best qualified to create schools the students of Texas deserve and prepare them for life post-graduation.